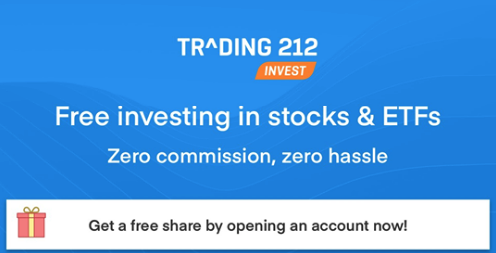 With the current financial rollercoaster that is hitting the world’s economies you would have thought that the last thing that we would be looking at here at bet72.com would be some financial market trading. Good News: This one has been extended until 31st March! Well think again. How would fancy playing the Financial markets and collecting a free bet at the same time? Simply stake upto €15 on your first financial trading session and win or lose they will refund your stake up to €15, as a free bonus to be used either in the financial area again or in their brilliant sportsbook area. So you really cannot lose on this. 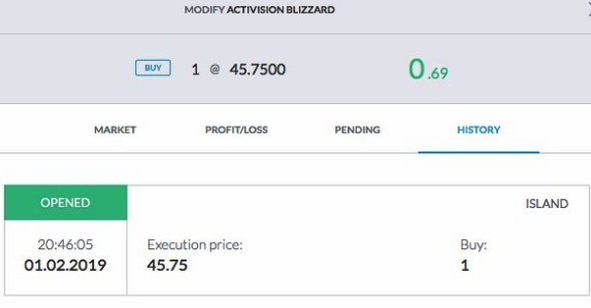 We just tested this making 3 x €5 trades on very low odds, actually made £3 in the process. Here’s how we played it out……..
Next we are off to Gamebookers to do the same, lovely! 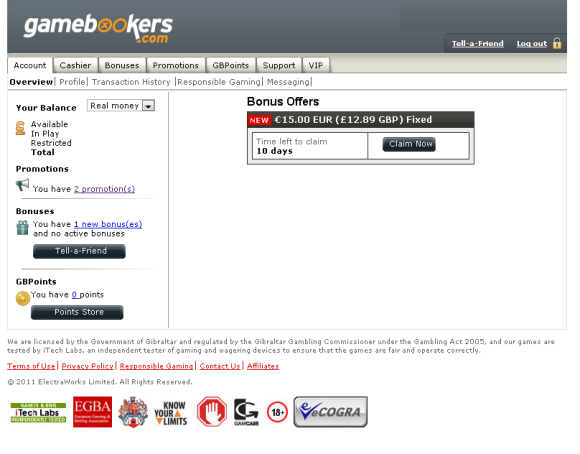 Here we are, confirmation that €15 = £12.89 on a GBP account and also no problems getting the bonus via both sites and both credited with 24 hours of playing, marvelous! So if you already have an account then dive in, as this offer is open to everyone old and new. If not then you can collect a free €20 sign up bonus too, via our exclusive links below. 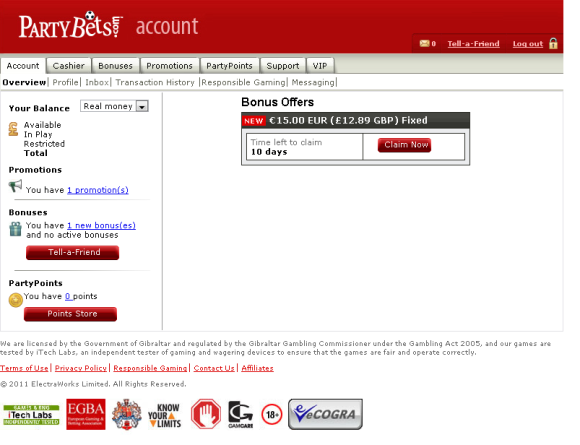 * This promotion is only valid for new players on Financial betting and runs until 31st March 2012. * To qualify for this promotion players must place a bet on any financial market. * Only bets made during the first day of trying Financial betting qualify for this promotion. * An active day is between 00:01 CET and 22:00 CET between Monday to Friday. * Stake will be matched in the form of a bonus. * The bonus will be placed in your account 48 to 72 hours after your first day activity. * The bonus must be wagered five times at odds of 2.00 or above on our sportsbook before a player can withdraw it. 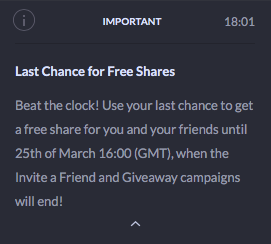 * Bonus will have a 30 day expiry period. * The bonus may be wagered on our sportsbook or on Financial betting and is limited to one per player per individual promotion.